This February 14th, show your friends and family you love them more than Chewie loves chomping down on sweet, sweet Porg meat. 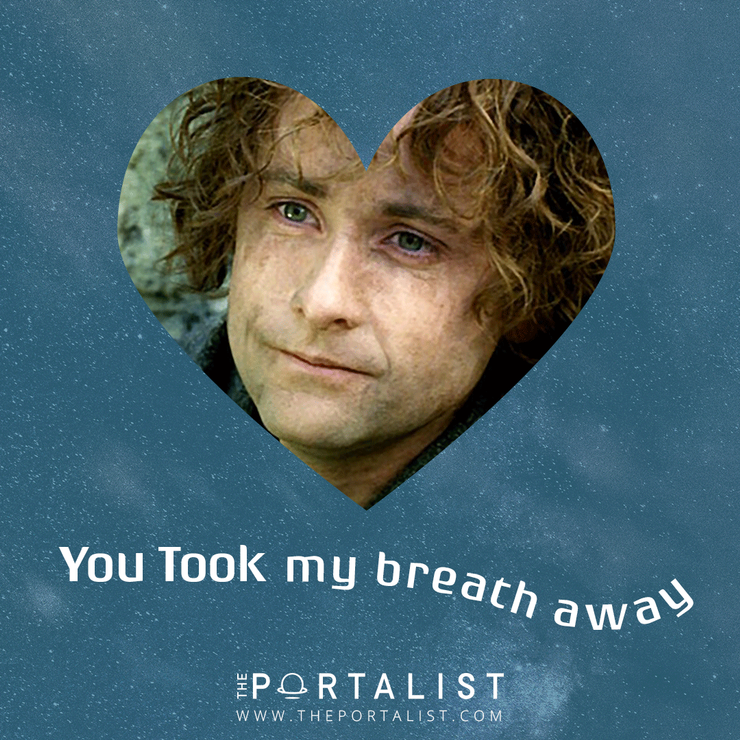 These five nerdy Valentines feature everything from high fantasy properties like Game of Thrones to iconic science fiction like Blade Runner, so no matter your sweetie's fandom, you're sure to find something to tickle their fancy. Scroll through our selection below — and if we've won your heart, click 'share on Facebook' to instantly spread the love to your feed. Arya gonna be my love? Whether winter is coming or going, you always want someone to snuggle up with. 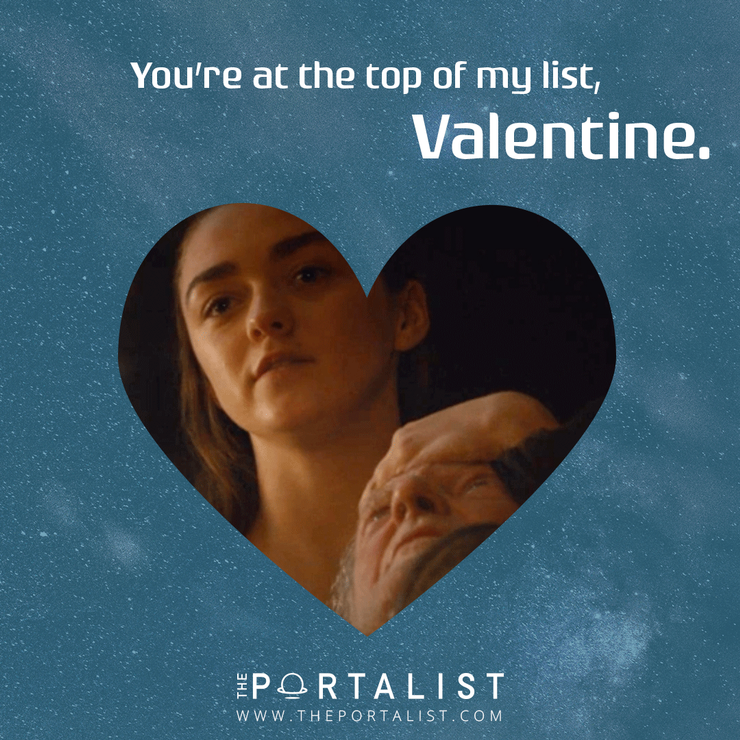 Let your honey know they're your #1 contender with a card that shows them the North remembers how cute they are. Want more geek stories? Sign up to get sci-fi and fantasy delivered straight to your inbox. Will you join my Fellowship? Say it with a hobbit! Show them you want to share breakfast, second breakfast, elevenses, supper, and all the meals in between. This message is shire to win their heart. Got a sweetie as cantankerous as reclusive Jedi Master Luke Skywalker? 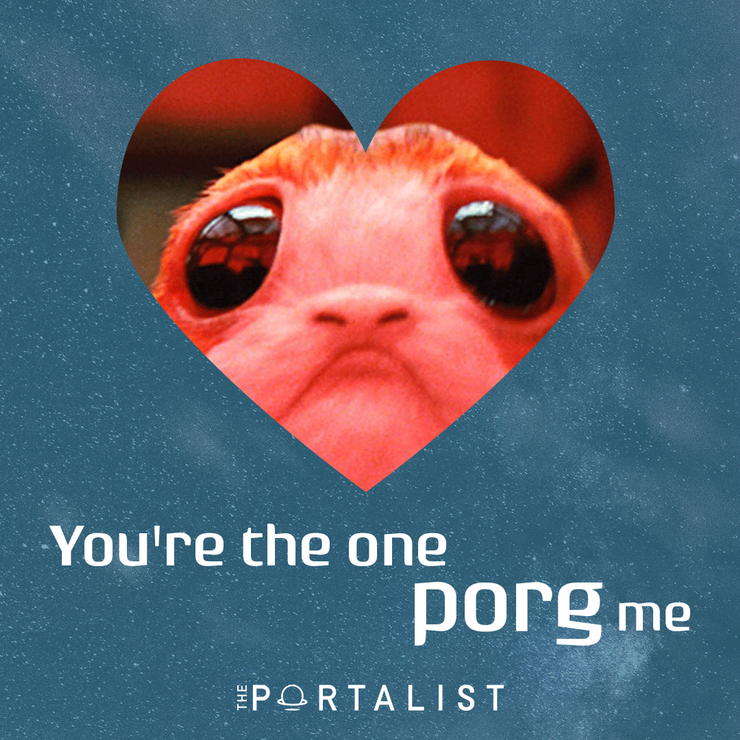 Melt their heart with the power of Porgs, and they'll burn for you like so many sacred Jedi texts. RELATED: Will Star Wars: Episode IX Play With Themes of Death and Resurrection? 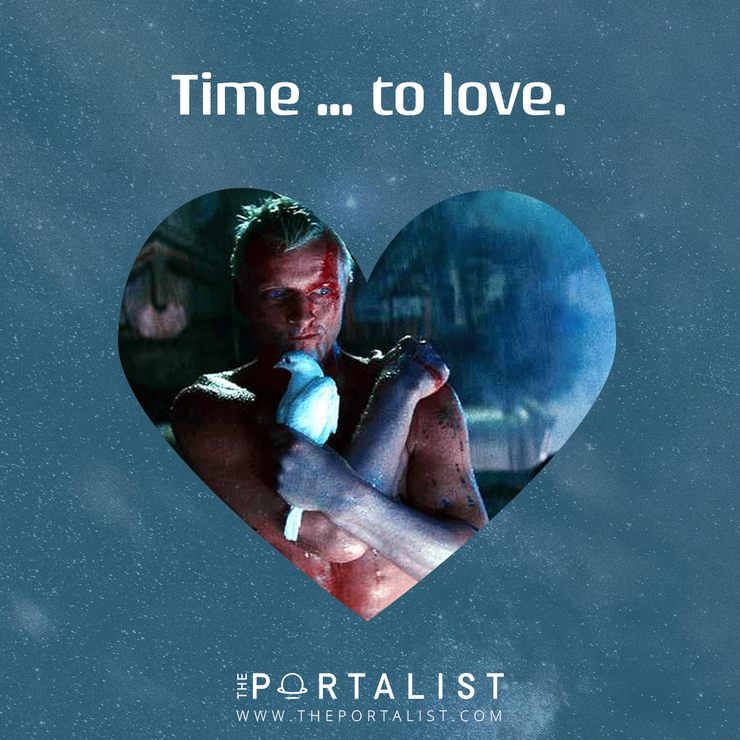 You've seen things people wouldn't believe — like the unparalleled beauty of the one you love. Show them they're as beautiful as attack ships on fire off the shoulder of Orion with this Blade Runner-inspired card. 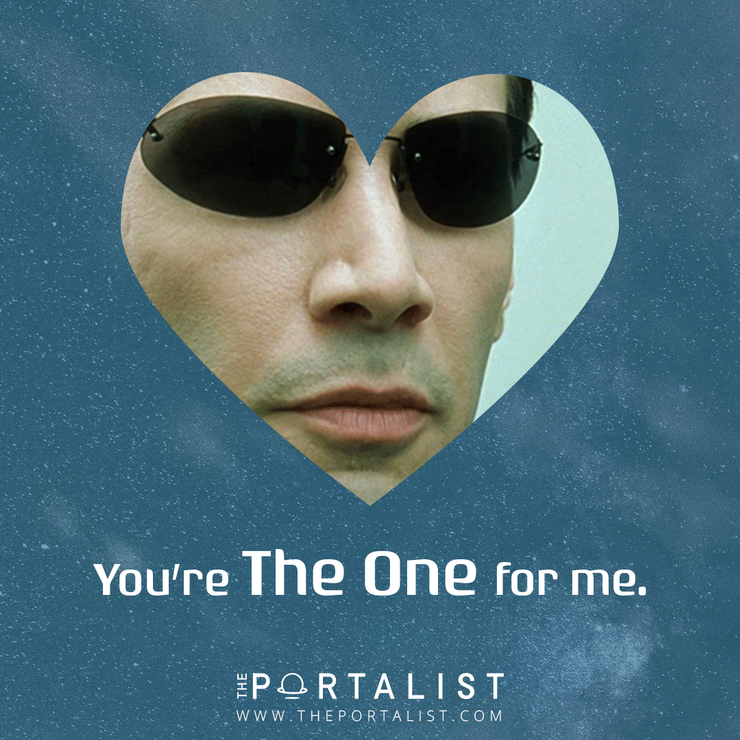 If you want to take the red pill with your special someone, let Neo do the talking for you.